Tuntu(ma) is an interactive audio artwork/instrument which combines ceramics and sound. The work is one part of a set of two spatial installations, the other of which is the audio work Sound of Darkness. The work offers audible and touchable hints of the cave Kagekiyodo, which is located in Akiyoshidai Quasi-National Park in Japan. The set is a test of how spatial experience of a dark cave thousands of kilometers away can be moved into a gallery space, and how this space is perceived through the sense of hearing and touching. Akiyoshidai was part of a coral reef 300 million years ago, and the karst formations of the area are results of limestone being soaked by rainwater. There are over 400 limestone caves shaped by groundwater in the Akiyoshidai area, one of the largest of which is called Kagekiyodo. The caves are totally dark and their spaces can only be sensed through hearing and touching. The ceramic parts of the work are copies of the water-worn walls of the cave. By touching them, the exhibition visitor can play the work. 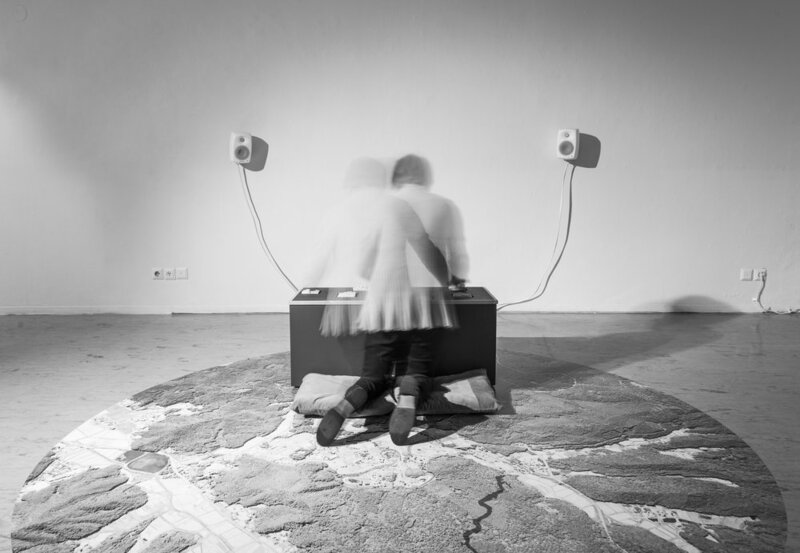 Japanese sound artist Miyuki Inoue has produced onomatopoetic phones describing sounds of water to each surface structure. Phones played by the exhibition visitor, and field recordings made in the cave form an ever changing soundscape representing sounds of water. The works have been produced in the Akiyoshidai International Art Village artist residency in Japan. The sounds of the work Tuntu(ma) are produced by sound artist Miyuki Inoue, sound design is by Saku Kämäräinen and technical implementation is by Ikahu Media Art / Marko Tandefelt and Pasi Rauhala.